Gearbox Software has teased another game it will be revealing at PAX East 2019. This time it took to Twitter to share a picture of the fast and frantic first-person shooter, Bulletstorm: Full Clip Edition. In the image, you can see Ishi Sato - one of the original characters from the game - along with Duke Nukem, who was a playable character in the remastered release. The characters in this image have noticeably switched sides, if you compare it to the original image. This is believed to be a subtle hint the game is coming to Nintendo Switch. 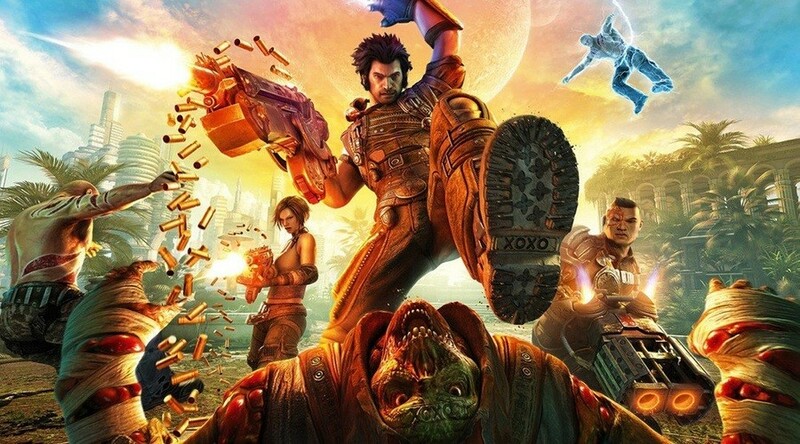 Much like Borderlands 2, the remastered version of Bulletstorm has already been released on Xbox One, PlayStation 4 and PC, meaning Nintendo's hybrid device is the only modern hardware without the game. 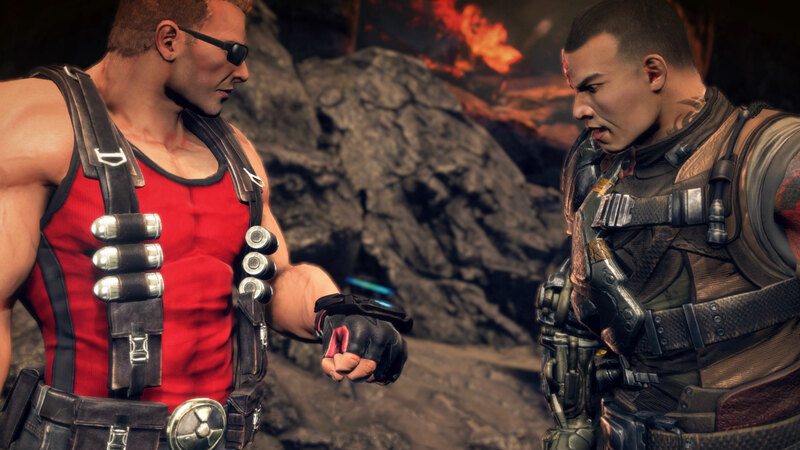 Gearbox is hosting its PAX East 2019 panel on 28th March, so we'll just have to wait until then to find out if Bulletstorm is making its way across to the Switch. Would you like to see Bulletstorm on the Switch? How about Borderlands 2? Leave a comment below. Well, if it’s the only modern platform without the game, and on top of that a hint is given in which “switching” is involved, I’d say it’s pretty much confirmed. You guys are great at reporting what others have reported. @SBandy so are they not supposed to report on something that's already been reported on? Just seems to happen an awful lot. I have bought Borderlands 2 three times already and Bulletstorm twice...I will gladly buy both titles again for switch. Most people aren't reading every little obscure Nintendo fan site on the internet. This is one of the biggest, it doesn't have to be first to get all the news. But it does have the most and best content overall. One of my favorite shooters ever. Just dumb fun, and the combo stuff was great. Characters mostly sucked, but Ishi was boss. @SBandy It’s something called a press release. Maybe Nintendo Life were too busy writing up that amazing investigative piece about Roy Orbison and cobbled this up later? It’s not like you can blame them for reporting something later, it’s their job to report it at all. I'd be down for Bulletstorm if true. I enjoyed it a fair bit on my PS4, would play again for Duke Nukem alone. Is this game good? I heard back in the day it was kinda average. Haha, yeah I remember this game. Love the PETS initiative, bring eeeeverything to Switch! Day 1! Do what activision is too crappy to do. Bring your FPS to a thriving console. Of course it is, it bombed everywhere else because they tried to re-release a game over five years later at full $60 price tag. They might have a chance with the ignorance of Nintendo fans. They throw away money on worse games. Not a terrible game, but it does set out to screw you on price tag. I would have purchased this game for $20, but any higher is a laughable purchase. It's quite a good shooter, there are some refreshing takes in the gameplay however nowadays others have used them so it doesnt feel as fresh compad to when it released in the 360/PS3 era. Still I'll put it up there with Doom/Wolfenstein for Switch FPS games but definitely wont be worth £40-£50+ (which it will be) at launch seeing how old it is (there's a ton of other games my money is reserved for and I can get 3 of those for that price) and you can buy it brand new on other platforms for £10. It will bomb for the 3rd time only Gearbox will blame it on the Switch. Another thing, the Duke Nukem content is incredibly lazy. Has the voice work and of course the model but that is all, it's practically Duke Nukem saying lines that were not intended for him so sounds really out of place. @Jester151 It's due to time differences and when information becomes known and available. Nintendo Everything puts up all of the stories you find on here about a day before. @SBandy Blimey, someone is having a bad day? If sites didn’t report on stuff other sites have reported, you’d have to follow every gaming site on the internet to keep up. Sorry folks I was in a bit of a mood last night! Don't even know what my point was really as of course stories get reported. Though it would be nice, I ain't holding my breath for anything Gearbox coming to the Switch. I think its cool but I pass on all FPS games. I play such games only on the PC. Cant really enjoy them with controller input. @bound4earth Yep. The re-master charging full price for a game that didn't set the world alight when it was first released seemed mad. Played it as part of my PS+ subscription. Was nice to play a story based shooter and I enjoyed it but I would have felt robbed if I had paid full whack. Love FPS like this. Old school dumb fun for the win! On the subject of Duke Nukem, I'm surprised they haven't released the anniversary version of Duke Nukem 3D on the Switch by now. Seems an obvious choice given the low required specs. Will buy if the price is right! If it's 60, this will be another old game port along with Skyrim, Diablo etc that i'll avoid. Seriously, though, bring it on. I was curious about Bulletstorm when it went PS+, but it was another game I closed as soon as I was forced to use Vita touchpad for shooting. Borderlands 2 is welcome as well, although it's already on Vita and I'd rather have 1 and Pre-Sequel. Oh well, gift horses and stuff - here's hoping those games will run on GPDW as well. Although to be honest... characters in a promo art "switching sides" as a subtle hint? Sounds like a new level of release schedule conspirology. Just add obligatory "Direct confirmed".😄 Then again, I guess Diablo 3 emboldened all these holmeses. Just brought Xbox 360 version for £1 from CEX. Good fun and the visuals and game play hold up pretty well. Don't know what what Full Clip Edition changes for PS4 version. Is it 1080p and 60fps? I love this game!! I'd be all over it. I think this was 'free' on ps4 plus months ago... I played a bit and deleted it, not my type of game I guess. I never understood why this game seems to be considered such a classic, I always thought it was a rather forgettable shooter.